Yippee....look what arrived in the mail today. 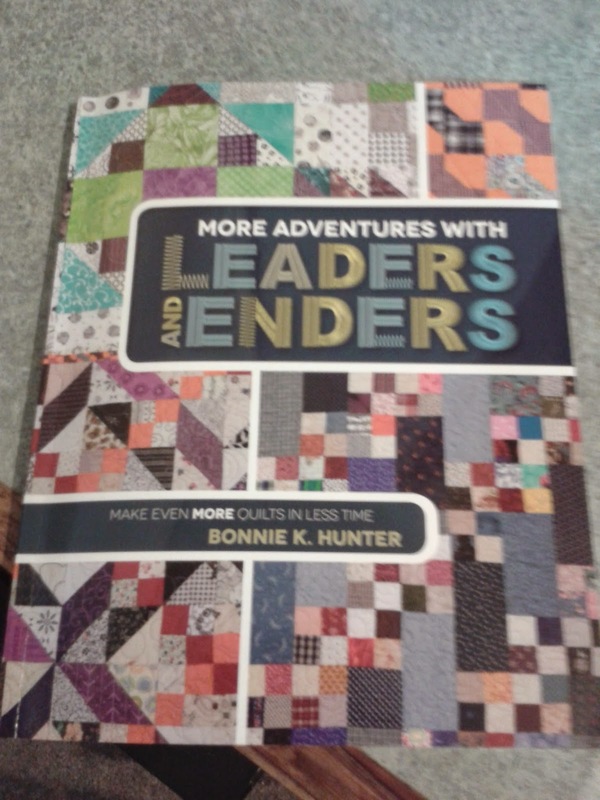 I was so excited to finally get my copy of Bonnie Hunter's book. I always knew there was a purpose for all those little squares I have hoarded up for ????? years and spent hours tidying up over Easter. Now I can start using some of them. My lovely 6ft 4"grandson Bradley needs a new quilt and he loves green like his Nana. 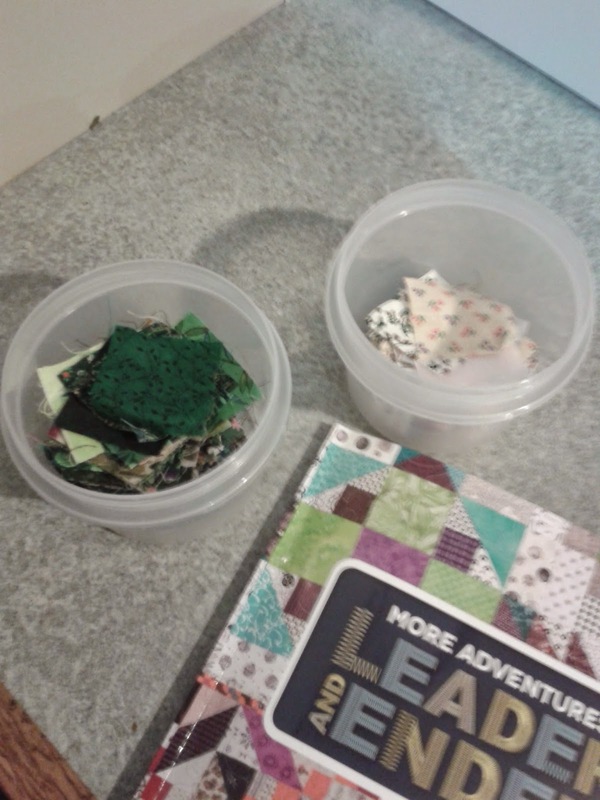 I sorted out all the squares that might be usable for this quilt, but will still need to cut quite a few. Neutrals are something I need to concentrate on collecting a little more off...oh yes....an excuse to buy fabric!!!! Here's my rather pathetic little collection so far...lol. Our wee group plus a few extra friends are organising a sewing weekend....we come to the shop and stitch all day/night on Saturday and then start off again on Sunday, going home late afternoon. What great fun. We leave everything all spread out and just walk back in the next day. We are going to bring meals to share this time. Last one, my dh did all the cooking, but thought I should give him a break. 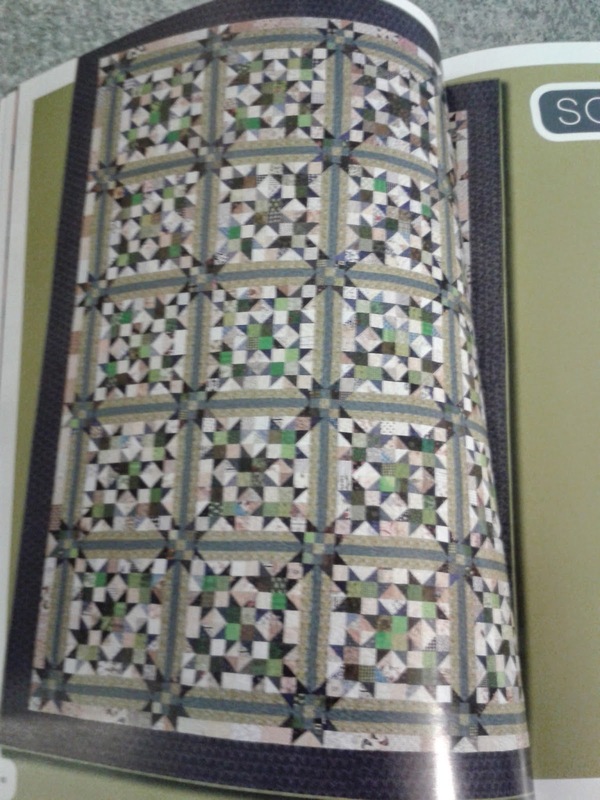 I might aim to get the cutting done for Bradley's quilt for this weekend...hmmm. It's not until 2 & 3rd of August, so that should give me enough time. Alison T, does this fit in with your diary plans....lol and Catherine...want to come? And about that cat story yesterday...I forgot to put the photo in. Oh dear that's what a foggy brain does to you. 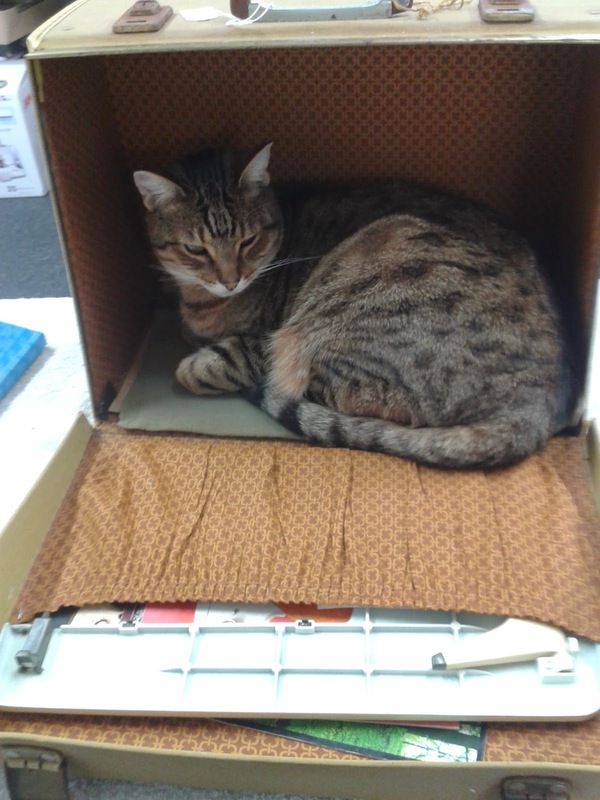 Here's the cased up cat! Thanks for reading and looking forward to chatting to you again.